← This Friday, November 16 at 3 pm it’s the Britannia Christmas Craft Fair – all weekend! Bring the family!! 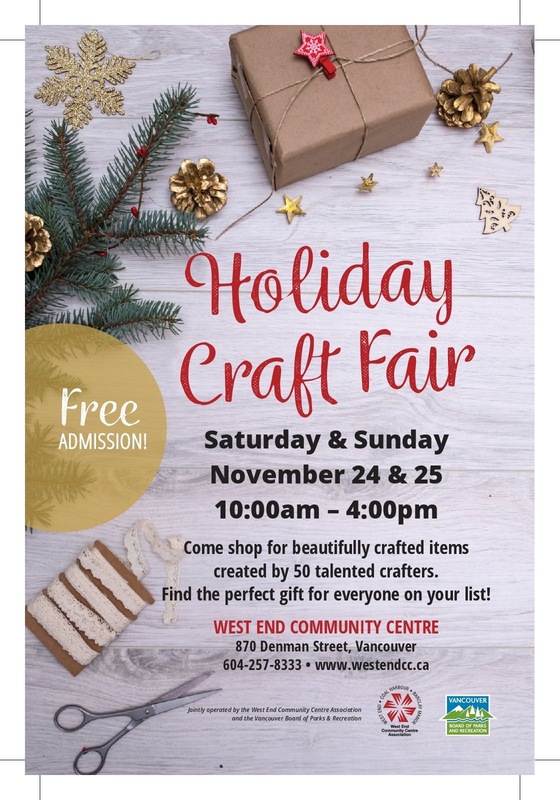 This year I’ll be at the West End Community Centre Holiday Craft Fair all weekend!! Saturday and Sunday! !